The color “turquoise” derives from the word “Turkish” because of the glorious colour of its sea. Turkish cuisine is at the junction of Turkish, Arabic, Jewish and Mediterranean influences. 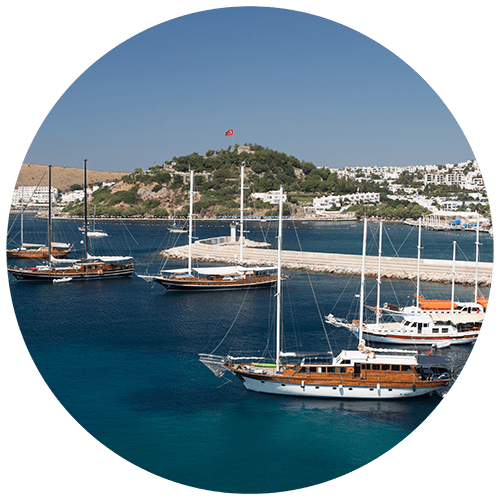 We’ve listed the top luxury gulets to charter in Turkey and 26 of the most stunning locations to visit during your cruise. 6 cabins for 13 guests. Master cabin, VIP cabin, 2 double cabins as well as a triple cabin, with separate accommodation for a crew of 5, proficient at supplying personalized service to their guests. 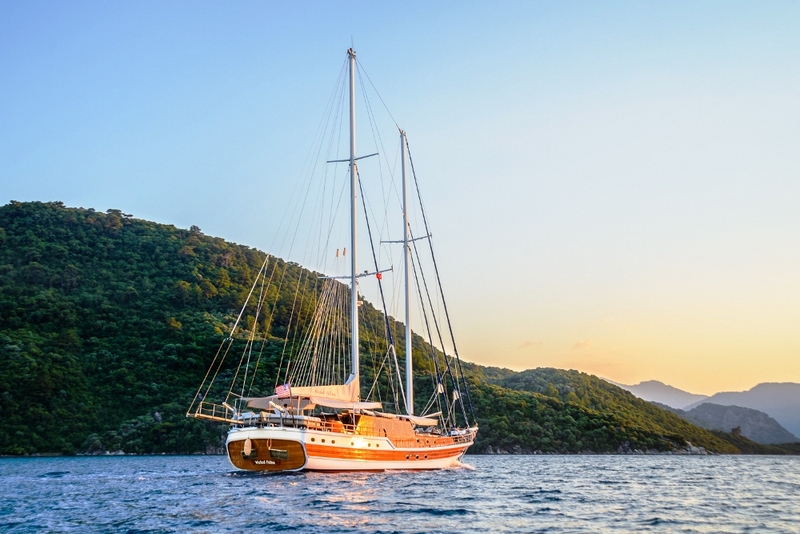 Luxury 5 cabin gulet Wicked Felina is a beautiful 34-meter yacht. She was totally renovated and refreshed in 2015. She has one Master, 2 Double, and 2 Twin Cabins, and can comfortably accommodate 10 guests. 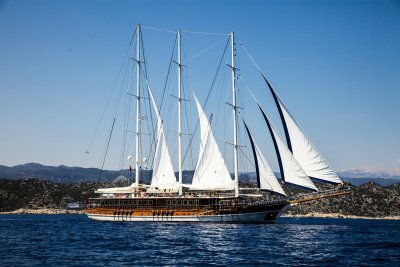 An impressive Turkish gulet, Blue Heaven is a 5 cabin yacht that can accommodate up to 9 guests in comfort and style. Cabin selection comprises of 2 Masters, 2 Twins and 1 Single. 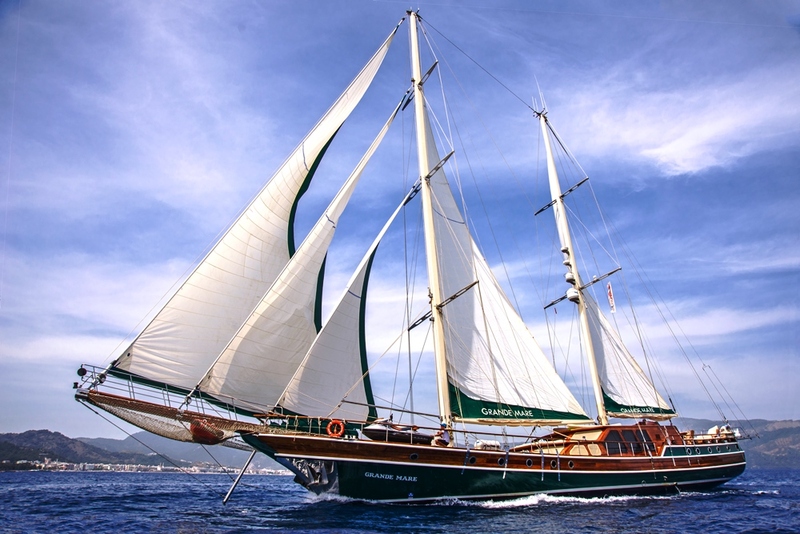 Gulet Admiral is a deluxe gulet for larger groups of friends and family. 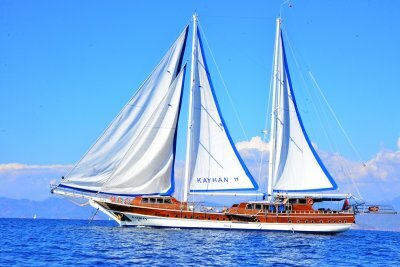 This gulet offers 10 Double cabins, 2 Twin and 4 Triple cabins. 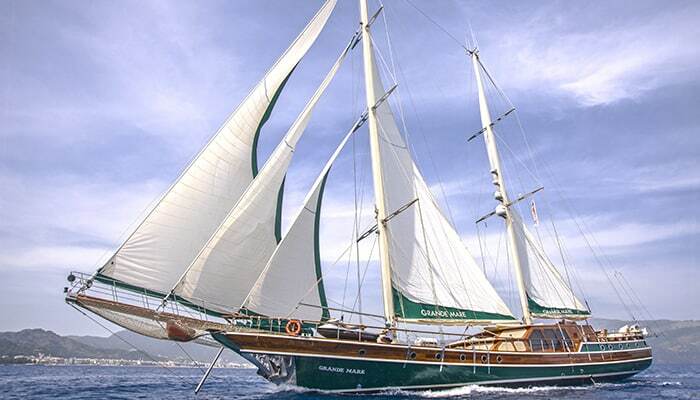 Built in 2002, this gulet can accommodate 20 guests in 6 double and 4 twin cabins. All cabins have private bathrooms with box showers, air conditioning, a TV and DVD player. 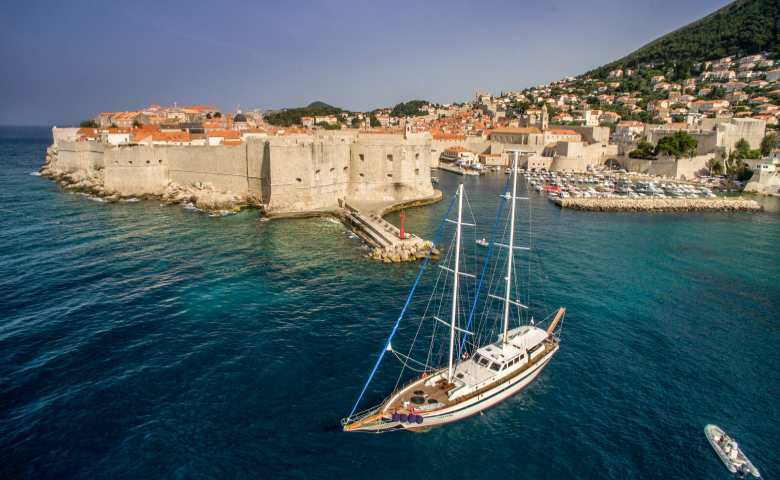 Gulet Prinses Lila is 36 meters in length, and perfectly designed for successful cruising. She has spacious living areas and capacity for larger groups of up to 18 guests in 8 spacious cabins. We will contact you to discuss your charter preferences. Our gulet experts will research all available options, and discuss which best suit you to ensure we find the perfect gulet for your holiday. We discuss what would you like to see, eat, drink, and experience during your cruise, and we make all the necessary arrangements. Your entire experience is tailor-made. If you require a particular diet, we can accommodate it. You want a professional masseuse? We provide one. You would like a Yoga instructor on board? We can provide it. We go above and beyond to cater to your every wish. 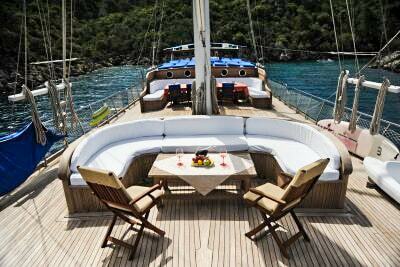 The price of a gulet charter Turkey ranges from €5,000 per group per week to around €100,000. 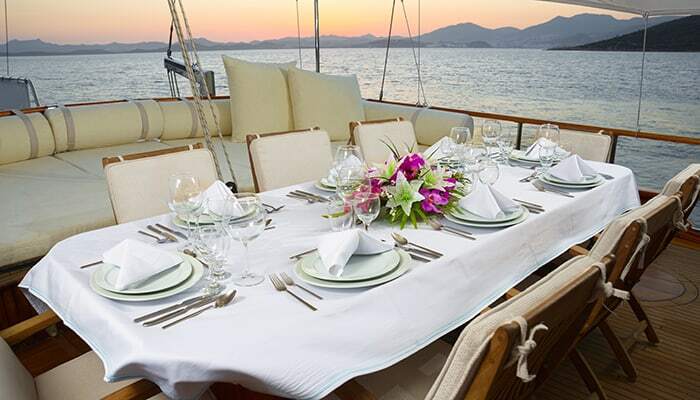 Prices vary according to the gulet size and its category (standard, deluxe, luxury). 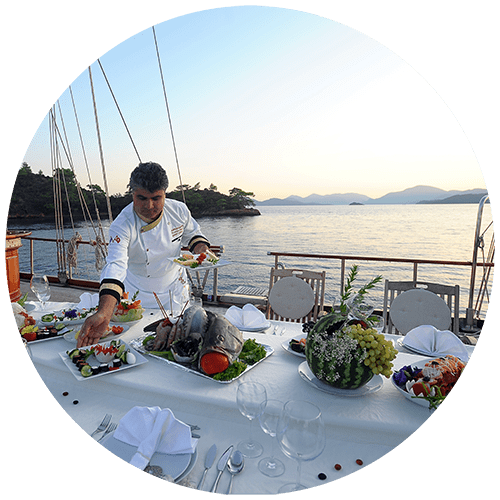 The charter price in Turkey usually excludes: Meals on board – Drinks – Private marinas – Entrances to national parks and other shore-based excursions. 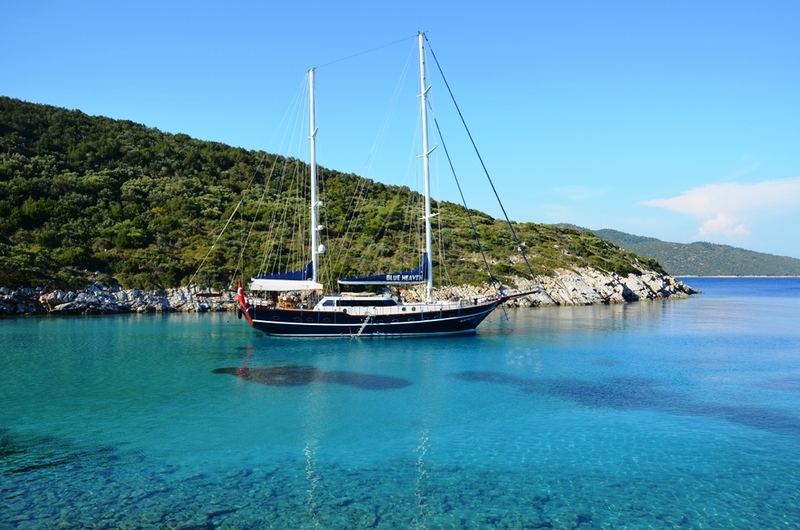 These additional costs can be paid directly to the captain of your gulet. Send us a brief outline and one of our cruise experts will contact you with some initial suggestions. We offer free advice to our clients. Just 12 miles from Ephesus (an intriguing Roman city), Kuşadası is an artistic wonder. Its 2,000-year-old theatre still has performances today! 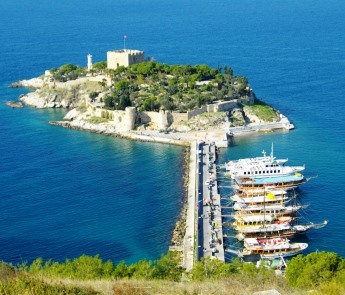 Kuşadası’s breath-taking architecture and wondrous sites such as Selçuk fortress have been main attractions for thousands of tourists every year. The city itself holds many different stalls in a vast bazaar, and the local seafood is to die for. Rich in Ottoman and 14th Century history, Çeşme is a beautiful place for a beach and spa day where you can take it easy and unwind. The Ottomans were defeated by Russian ships in 1770, and there is also a historical Ottoman caravanserai that is quite popular for visitors. 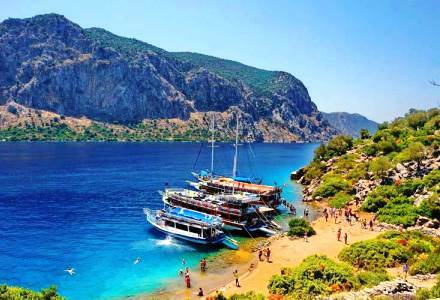 Just a short boat ride from Ildur, Dalyan is quickly becoming a popular location. It is a beautiful, serene place rich in culture and history, featuring the King’s Tombs set just across from the river. You can eat at some excellent restaurants on the waterside and enjoy the sights right from your table. At night, Bodrum is even more of a sight to see from the sea. 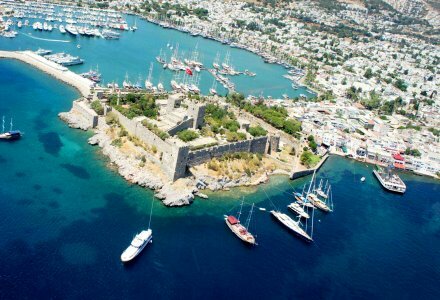 It is home to the Castle of St. Peter, which also houses one of the city’s most remarkable museums; the Bodrum Museum of Underwater Archaeology. 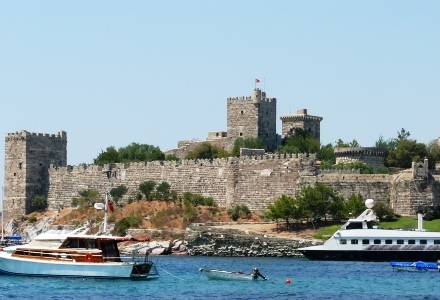 The ruins of one of the Seven Wonders of the Ancient World, the Mausoleum at Halicarnassus, can be visited in Bodrum. It was built originally between 353 and 350 BC for Mausolus of Caria and his wife, Artemisia. 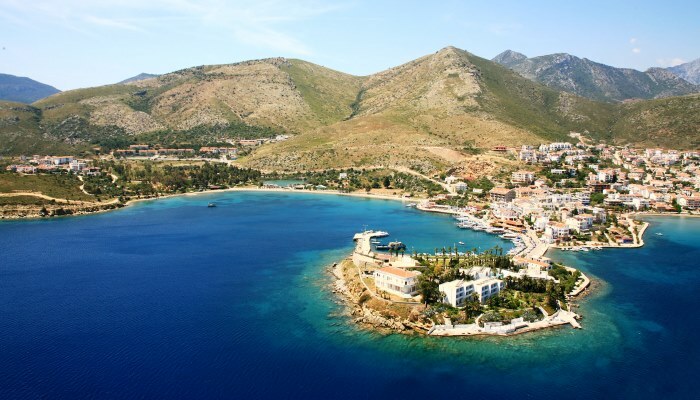 Datça is just north of Greek island of Symi, and offers amazing scenery. It is a quiet town relatively shied away from tourism. There is a relaxing natural hot spring located in the centre of Datça, from where and you can see the coastline of Greek islands of Kos, Symi, and Rhodes right from the water’s edge. 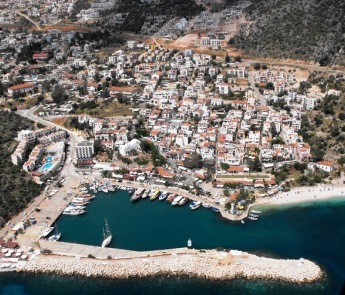 There is a larger Bencik town located in Turkey, but Bencik in Hisarönü Bay is the small inlet located east of Datça and is the narrowest part of the peninsula. There are no places to eat at Bencik, but the views alone are enough for a quick stopover during the day. Before it was conquered, Knidos was an ancient Greek city of Caria famous for displaying the statue of Aphrodite by Praxiteles of Athens. You can still visit the location where the statue once remained and see the ornate marble pedestal that held the statue. 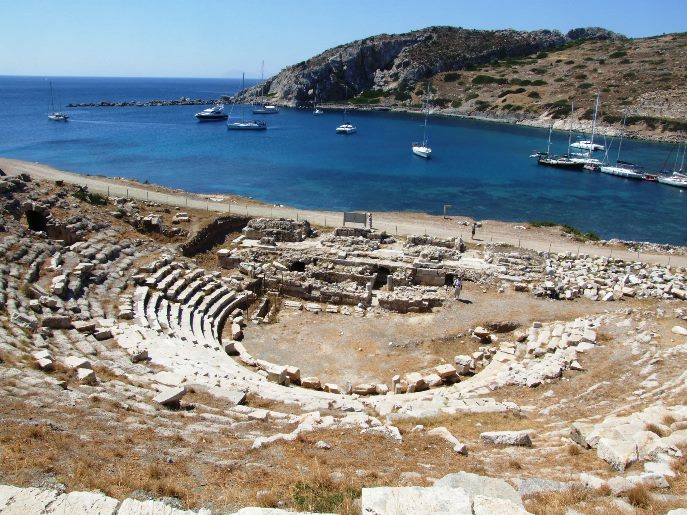 Knidos is also well-known for its amazing views and natural harbor, alongside its history. 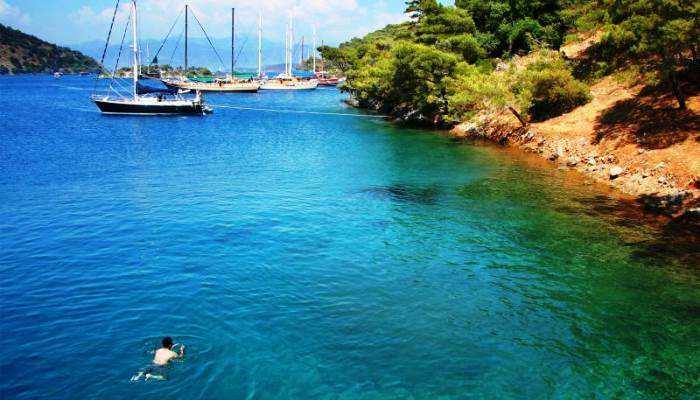 Keci Buku (also known as Orhaniye Bay) is much like Bencik; beautiful, peaceful, and very relaxing. 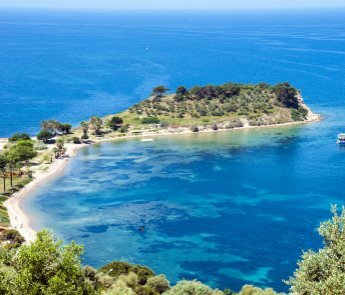 It’s a good spot for swimming during the day, and you can also visit the ancient Caria Bybassos ruins. The bay is very shallow up to around 500 metres in length, so it can look quite odd to look out over the bay and see what appears to be people walking right out into the ocean! 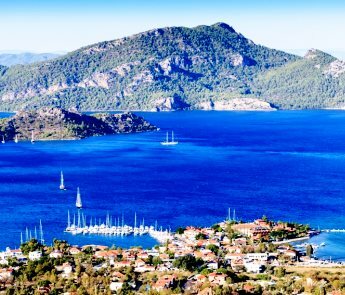 Selimiye is a bit different – the town has many visitors that come by boat or gulet, and they practice in the art of boat-making, so you might get the rare chance to see a gulet being crafted! A newly developed boardwalk has been completed which allows you to walk the length of the bay area and look out at the calming waters. There are also many great restaurants that serve the freshest fish. 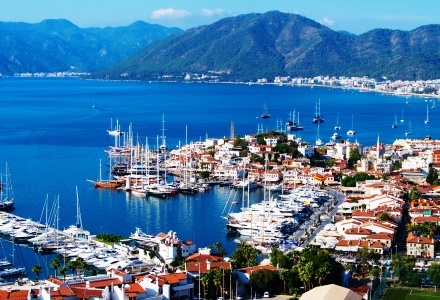 Marmaris is a bustling city that started with humble beginnings. 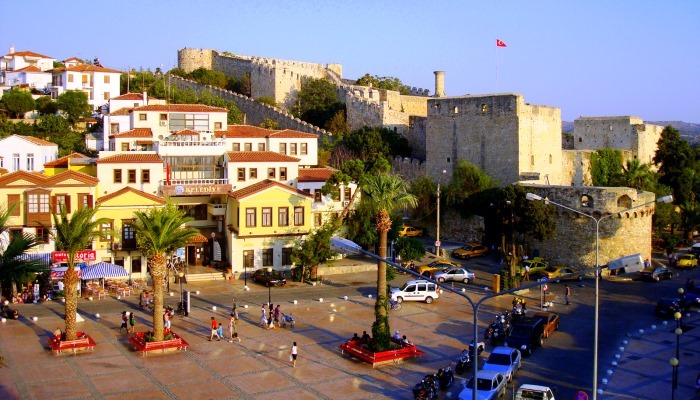 It’s one of the main shopping and trading locations in Turkey, and is a very popular destination for tourists. Lovely place to shop for souvenirs and it has some delicious dishes from exquisite restaurants. 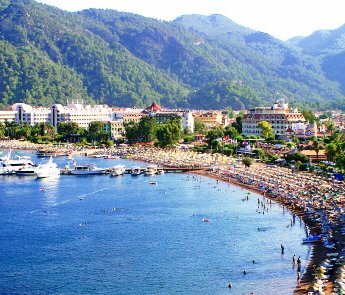 Ekincik is a glorious spot spanning a stretch along Turkey’s famous turquoise coast. There are some fantastic places for scuba-diving and snorkelling, as well as relaxing and quiet swimming spots. 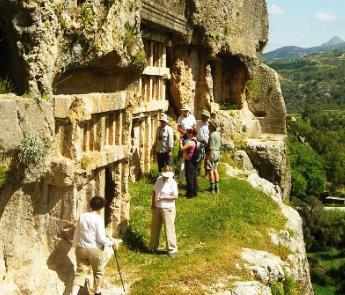 Those who want to explore inland can visit the ancient fourth century temples of Kaunos. 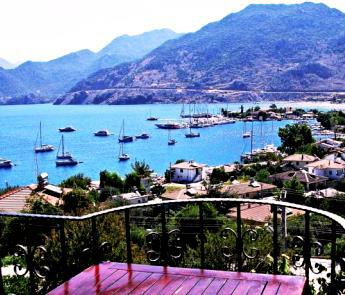 There are many things to see and do in Fethiye that you could easily spend one or two days here and still want to come back again. If history and culture is your main interest, you might find the Fethiyes’ Roman Amphitheatre and Lycian Rock Tombs to your liking. 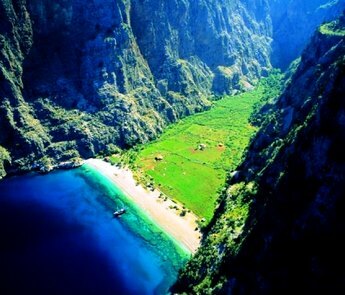 Of course, there are plenty of places to do: a spot of sunbathing and swimming, and just close by lies Butterfly Valley – an amazing habitat for more than a hundred varieties of butterflies. 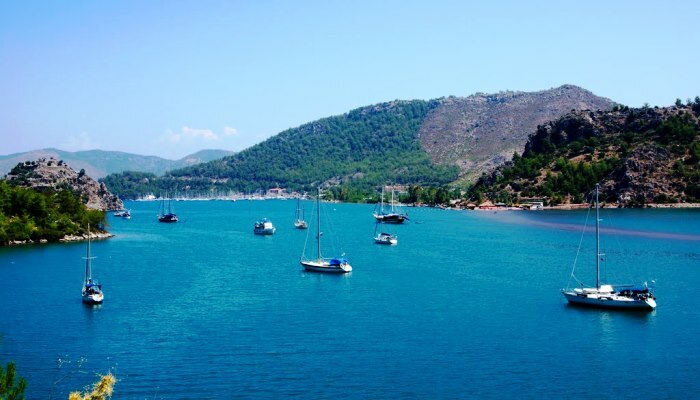 Not far below Fethiye lies Ölüdeniz, a popular and protected part of the Turkish coast that offers amazing scenery and pleasant spots for relaxing. 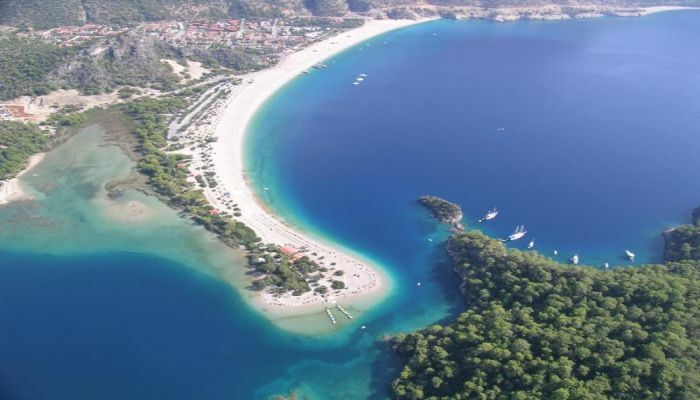 Ölüdeniz means “dead sea” as its waters are very calm and offer a very meditative experience. 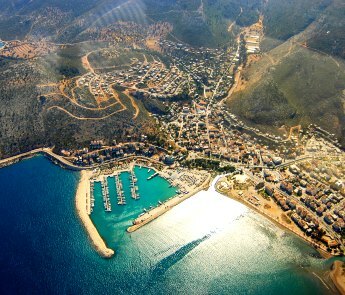 Kalkan is a buzzing hub of activity for ancient tours – but you won’t find masses of crowds here as you might elsewhere. 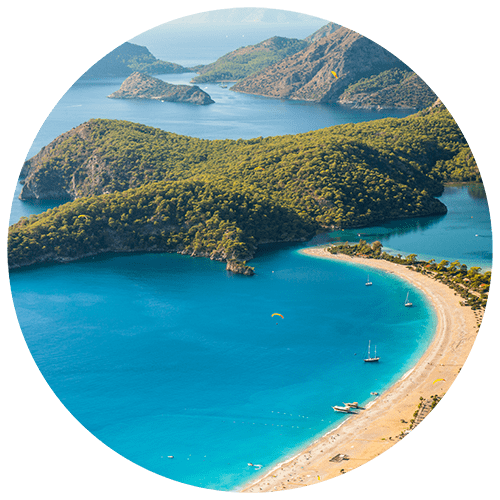 This is a relatively unspoiled area of the Lycian coast, and offers amazing hospitality, food, and a relaxing atmosphere for you to truly unwind and rejuvenate. 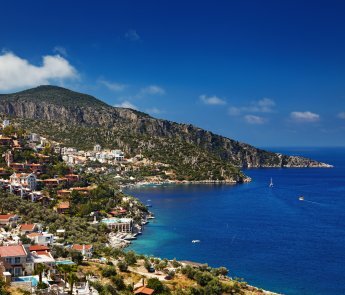 For those who like to shop and indulge a little, the smaller town of Kaş just 25 miles from Kalkan and another unspoiled area, is a great place to wind down. Ancient areas still exist around Kas and Kalkan, including the small town of Aperlae, which has some amazing underwater ruins left over from its ancient Lycia days. Just a short way away from its main province, Kale, Üçağız has some intriguing attractions and serene views. 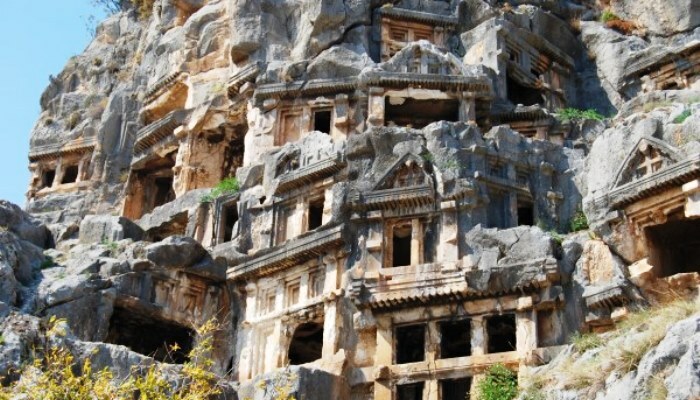 You can visit Lycian tombs that are over 2,000 years old, plus the marble ruins of a “sunken city” located beneath the water just offshore. The town is becoming more popular, but many quaint restaurants can be frequented for your share of fine wine and great local food. 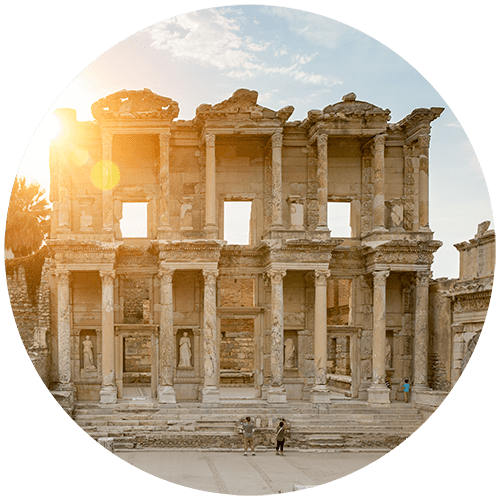 For some fantastic architecture, you can visit the Lycian rock tombs in the ancient Greek town of Myra, or the Roman theatre which is currently under restoration. 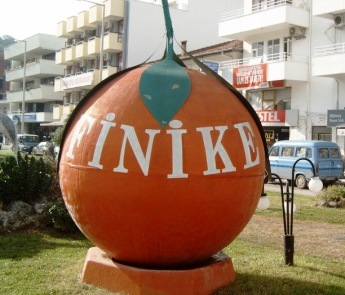 Finike is best known for its abundance of sweet oranges, locally grown in the town. It has some beautiful areas, including a nice harbor and delicious local food. 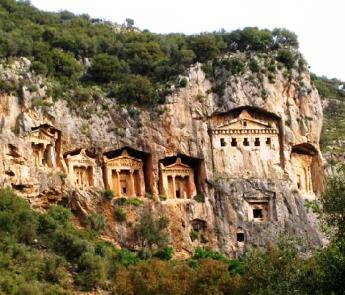 It’s also a town rich in history, and the ancient city of Arycanda can be visited for its intriguing culture. Send us your inquiry and let one of our gulet experts help organise the best cruise holiday of your life.